In addition to helping farmers raise their yields, one of the chief goals of Enterprise EthioPEA is to produce a ready-to-eat food product for children suffering from malnutrition. Enterprise EthioPEA supports the Ethiopian government's development plans for the agricultural sector and aims to dramatically increase chickpea production. It will develop a locally sourced, nutrient-rich, ready-to-use supplementary food (RUSF) to address malnutrition. With an initial target to reach nearly 40,000 Ethiopian children, ages 6-23 months, the World Food Program will leverage its mass distribution capabilities to assist those most in need of nutritional support through its existing operational network. Longer-term, all partners aim to expand the program to prevent malnutrition across the Horn of Africa. As PepsiCo's philanthropic anchor, the PepsiCo Foundation is committed to developing partnerships and programs in underserved regions that provide opportunities for sustained and improved health, environment and education. Through grant-giving, associate programs and disaster response, PepsiCo Foundation seeks to help the most impoverished people and communities in the U.S. and around the world. PepsiCo Foundation was established in 1962 for charitable and educational purposes. In the 1970s, the Foundation began to support fitness research, and by the 1980s, the Foundation established a focus on preventive medicine, underwriting research in this field at major medical schools at Duke, Harvard and Stanford, as well as at the Mayo Clinic. Later, the Foundation's focus was expanded to funding fitness education for youth. In 1998, PepsiCo became the first corporation to become a mission sponsor of the YMCA of the USA. PepsiCo and PepsiCo Foundation have since funded numerous initiatives promoting active lifestyles and educating consumers about making smart dietary choices. The key principle behind all of these efforts is balancing nutrition and physical activity. Today, the Foundation has evolved its goals to reflect the needs of underserved populations—including nutrition and activity, safe water and water usage efficiencies, and education and empowerment—and has extended its grant-making to the global community. In 2010 alone, PepsiCo Foundation contributed $25.9 million toward charitable causes. The Foundation also provides funding for disaster response and rebuilding activities. PepsiCo Foundation seeks to foster healthy, vibrant and self-sufficient communities worldwide through global partnerships that improve the quality of life across communities in areas of great need. Advance programs that help people locally, complementing sustainability platforms of Performance with Purpose. Health—Increase commitment to programs that promote healthy lifestyles and improve access to healthier foods. Environment—Advance market-based approaches and community-driven models that increase water security and contribute toward the pledge to bring safe water to three million people by the end of 2015. Education—Enhance and expand educational opportunities in underserved communities. 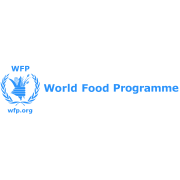 The World Food Programme (WFP) is the world's largest humanitarian agency fighting hunger worldwide. On average, WFP aims to bring food assistance to more than 80 million people in 75 countries. As the United Nations frontline agency in the fight against hunger, WFP is continually responding to emergencies. They save lives by getting food to the hungry fast. But WFP also works to help prevent hunger in the future. They do this through programmes that use food as a means to build assets, spread knowledge and nurture stronger, more dynamic communities. This helps communities become more food secure. WFP has developed expertise in a range of areas including Food Security Analysis, Nutrition, Food Procurement and Logistics to ensure the best solutions for the world's hungry.